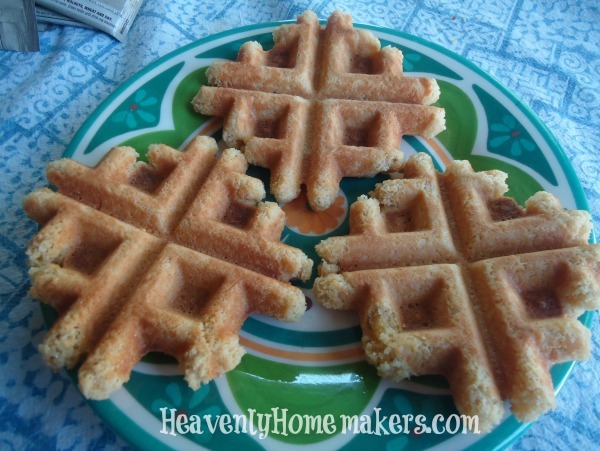 Make Cookies or Brownies in Your Waffle Iron! Friends, I have an oven again! Not only that, it is my dream oven!! I can’t find an exact match to show you, but it’s like this, only we got it for $less$ because we found it on Craig’s list. It is so perfect. The family who originally owned it had loved it, but moved into a house with electric and couldn’t use it any more. We got a great deal on a perfectly wonderful double gas oven!!! My husband is amazing, working for hours to switch our electric hook-up to gas, getting it all set up for me. I love it and drag people into my kitchen to show them my new toy – even if they probably don’t care. Thankfully, everyone has pretended to care. People are so nice. My apologies to our mailman. Little did he know that when he brought a package up to our porch that I would grab him by the collar and… Relax. I’m kidding. While it felt longer, it was really only two weeks of oven-less time for me. I missed having an oven, for sure. But we survived with all our other appliances and our grill. When you have to adapt in the kitchen, you start getting creative. Thanks to one reader, Lisa, who put this grand idea in my head – we learned that we can make cookies and brownies in our waffle iron! If that isn’t the coolest kitchen hack since…ummm…the last cool kitchen hack I learned (freezing muffin batter, perhaps?). A word of warning: It’s a little messy. But with cookie and brownie batter, I found that the butter separates out a little bit, filling the waffle iron crevices with buttery goodness. It’s not a big deal. I just ran hot water over it to clean it out after it cooled. Just be aware that this process can be a little bit messy. Worth it. But messy. See that? 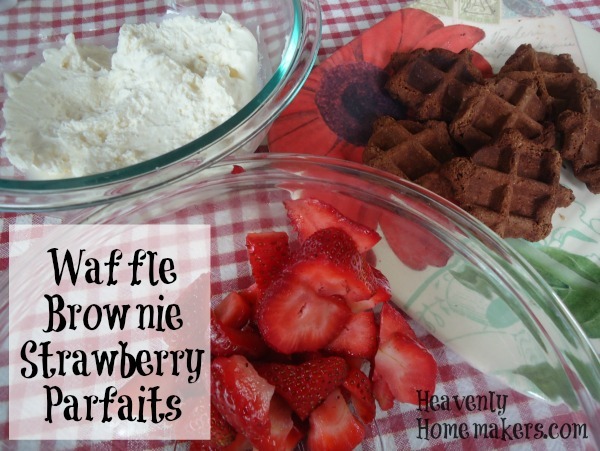 For company one night we made Waffle Brownies and set them out with strawberries and whipped cream. What a fun treat! Mix up cookie or brownie batter as normal (my suggested recipes are below). Use a medium or large sized cookie scoop to add batter to a pre-heated waffle iron. Close iron and “bake” brownies or cookies for about 2 minutes each. I was able to make three at on time if I spaced them out correctly. This process takes more time than simply throwing a pan of brownies into an oven to bake. But when you don’t have an oven, or when you want a little something unique – these cookie and brownie waffles are SO MUCH FUN. Any of these Low Sugar Cookie recipes will work great! Pin this idea to use this summer when you want a fun treat but don’t want to heat up the house by turning on the oven! I make omelets in the waffle maket but you have to time them so they aren’t overcooked. They cook fast so is a timesaver. Ok, now I have to try this too!!! Isn’t it? Wish I would have thought of it myself! I have often used your muffin recipes in the waffle maker. We call them ” waffins”! !